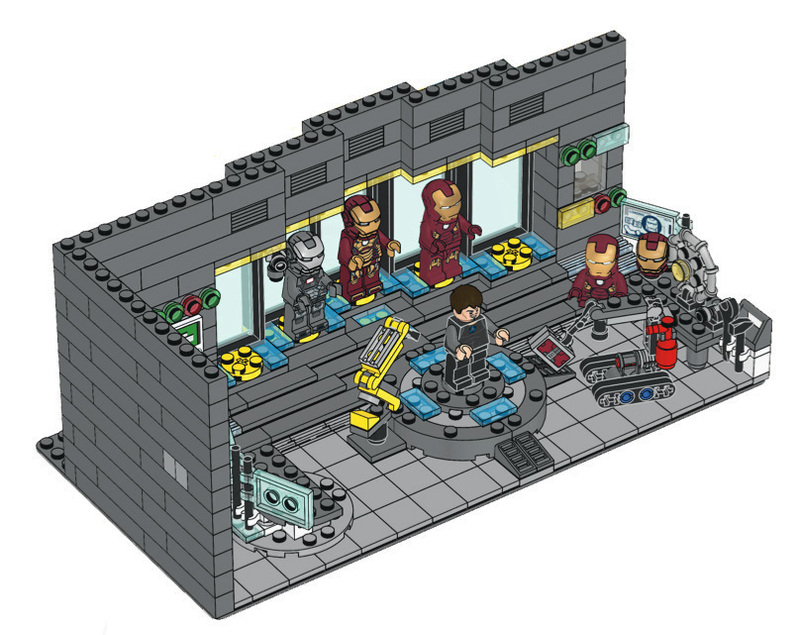 miniBIGS Minifig Blog: Want to build Iron Man's Labratory? Have you ever wanted to build Iron Man's Laboratory LEGO has made a handy instruction sheet on how to build one. With their design there is a place for every type of armor, lots of helpful mechs and a staging area where Tony Stark suits up. Its a cool design, cool enough that I wish they would have made it an actual boxed LEGO set. You can download the full instruction .PDF right here. Have fun. Iron Man's Laboratory - Suit up!